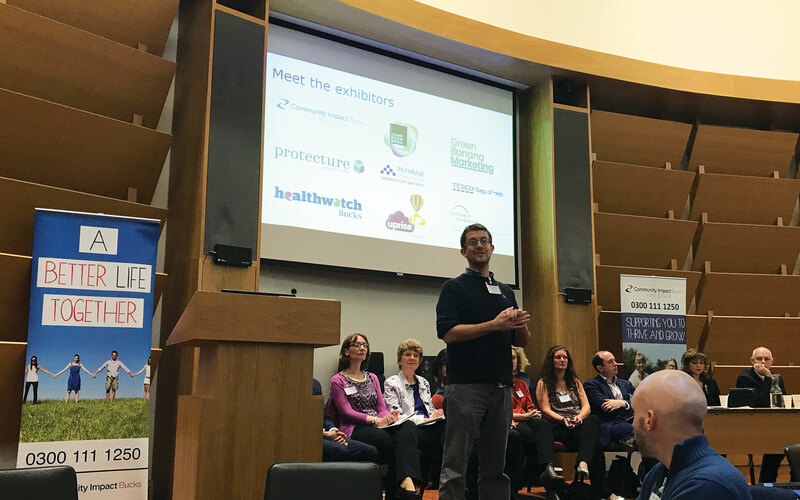 We were delighted to exhibit at this years ‘The Digital Journey’ with Community Impact Bucks on the 5th October. The conference proved to be a great success with over 100 people attending and some great exhibitions on show. From Websites, social media, CRM systems, personalised communication, crowdfunding… the opportunities presented to us by digital tools are enormous. According to a recent report, 68% of charities think that the charity sector will change as digital adoption increases yet surprisingly only 50% of charities have a digital strategy in place. The day focused on how charities and not-for-profits can better use digital tools and how they can use them to tell their story and aid in volunteers and supporters and more. Offering an exciting mix of industry experts in plenary and interactive breakout sessions, the conference helped to get digital running through every aspect of an organisation’s activities; from communicating with donors and beneficiaries to increasing digital fundraising or turning data into meaningful impact measures. Two of the breakout sessions were led by our very own John Onion and Ed Coles from upriseUP, who held a session on ‘Making the most of Google Adwords’ and ‘Q&A Demystifying Social Media’. We have received some fantastic feedback from those sessions so far, so a big thank you to those of you that came along to say hi to us. As always, if you have any queries on the Google AdWords Grant let us know and we would be more than happy to help!